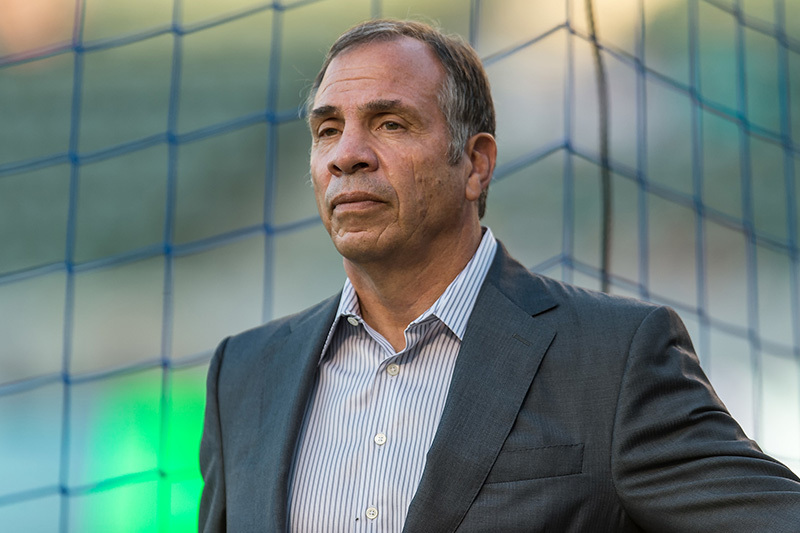 CHICAGO (Jan. 5, 2017) - U.S. Men's National Team head coach Bruce Arena has called 32 players to Carson, Calif., for the annual January Camp. Players will report Jan. 10 to the National Training Center. This will be the first training camp coached by Arena since he took over in November of last year, and comes just two months before Final Round Qualifying for the 2018 FIFA World Cup resumes. The entire 32-player roster comes from Major League Soccer, representing 15 different clubs. Since the camp does not fall during a recognized FIFA international window for the release of players, only those who are not in season are available to be selected. Amongst the group are nine World Cup veterans, eight 2016 MLS All-Stars and three season-end league award winners. In preparation, the U.S. will begin the 2017 campaign with a friendly against Serbia on Jan. 29 at Qualcomm Stadium in San Diego, Calif. Kickoff for Arena's first match back in charge of the U.S. MNT is set for 1 p.m. PT, and will be broadcast live on ESPN2 and UniMas. Five days later, the MNT will make its first visit to Chattanooga, Tenn., on Feb. 3 when they host regional rival Jamaica. Kickoff in front of an expected capacity crowd of 20,000 at Finley Stadium is set for 7 p.m. ET, and the match will be broadcast live on FS1 and UniMas (simulcast on UDN). Follow both matches on U.S. Soccer's official Facebook, Twitter (@ussoccer) and Instagram (@ussoccer) accounts. "With games at the end of the month and the World Cup Qualifiers in March, this is going to be a critical time for us," Arena said. "It's important that we come in and quickly establish an understanding of what we are about and how we go about building our team. As for the players, we are coming into this with an open mind, so it's a huge opportunity for them." With a pair of World Cup Qualifiers against Honduras and Panama on the horizon, the camp is a crucial opportunity for the new coaching staff to work closely with the domestic player pool and begin to make a stamp on the team. Arena's familiarity with the league will certainly give him a leg up, and since 13 of the players on the roster have already been part of the current qualifying campaign, the labor this month will be extremely beneficial. Arena has been hard at work since Day One, having already been to five matches across North America and Germany, while also visiting several of the European-based players. This year's January Camp roster is one of the most experienced in recent memory, with nine players having previously featured on World Cup roster, while 16 have played for the U.S. in World Cup Qualifying. A total of 25 players enter camp having previously been capped. Michael Bradley leads the list of cap winners (126 caps/15 goals), followed by DaMarcus Beasley (123 caps/17 goals) and Jozy Altidore (99 caps/37 goals). Since the January Camp does not fall within a FIFA fixture window, only players not in season are available. Historically that has delivered a huge chance for MLS-based players to make an impression throughout a nearly month-long camp. Previous World Cup rosters are littered with guys who took advantage of this time to prove their worth. For the 2014 World Cup alone, Matt Besler, Geoff Cameron, DeAndre Yedlin and Graham Zusi all made their MNT debut here. With its first trip to Eastern Tennessee, the MNT is heading into a thriving soccer market. NPSL side Chattanooga FC reached the championship in 2015, where a crowd of 18,277 set a record for attendance at an amateur game in the United States. A little more than a week later, the U.S. WNT played in front of a sold-out crowd on the artificial turf at Finley Stadium and won 7-2 against Costa Rica. The entirety of the 32-player roster comes from Major League Soccer, representing 15 different clubs. Sitting at 99 international appearances, Jozy Altidore will look to become the 17th player to earn 100 caps for the U.S. MNT. Should he appear against Serbia or Jamaica, he would become the second-youngest player to hit a centenary number of caps behind only Landon Donovan. Seven players have previously played on Arena-led teams. DaMarcus Beasley, Michael Bradley, Chad Marshall and Nick Rimando were part of U.S. squads during his first tenure in charge of the MNT, while Arena managed Altidore during his time with the New York Red Bulls and Sebastan Lletget and Gyasi Zardes with the LA Galaxy. Last appearing at MNT camp in October 2015, Beasley highlights a list of multiple players that are making their first camp appearances in more than a year. Other notable returnees include Marshall (January 2010), Dax McCarty (January 2011), Benny Feilhaber (January 2014), Greg Garza (September 2015) and Rimando (November 2015). Defending M.L.S. Cup champions Seattle Sounders have the highest representation with four players. Reigning M.L.S. Rookie of the Year Jordan Morris headlines the list, along with Evans, Marshall and Stefan Frei. The roster also boasts the league Defender of the Year in Matt Hedges (FC Dallas) and the Comeback Player of the Year in Chris Pontius (Philadelphia Union). Union defender Keegan Rosenberry finished second in the voting for Rookie of the Year. 10 players are alumni of the U.S. Soccer Development Academy: Acosta, Juan Agudelo, Birnbaum, Hamid, Taylor Kemp, Kekuta Manneh, Morris, Nagbe, Trapp and Zardes. Manneh (Vancouver Whitecaps FC) and Frei (Seattle Sounders FC) are both in the process of completing their eligibility requirements to represent the United States. While that process is ongoing, they are clear to participate in the training camp. Coming off a year in which he re-established himself with the MNT and became a finalist for M.L.S. Most Valuable Player, Sacha Kljestan returns to January Camp for the first time since 2010. The New York Red Bulls midfielder memorably scored a hat trick in a 3-2 friendly win against Sweden on Jan. 24, 2009. Steve Birnbaum scored his first international goal during last year's camp, heading home a 90th minute game-winner in the MNT's 3-2 win against Iceland on Jan. 31, 2016. Two players will arrive to camp late. 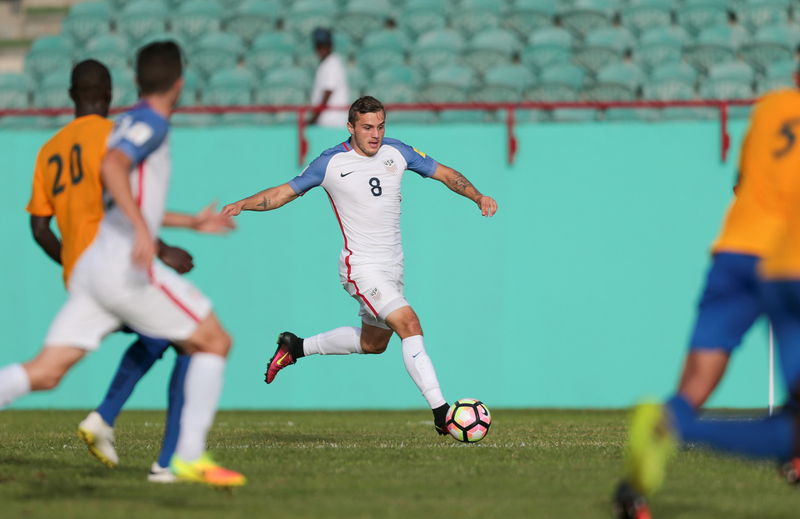 Altidore will join the MNT on Jan. 12, while McCarty will get to Carson on Jan. 16.